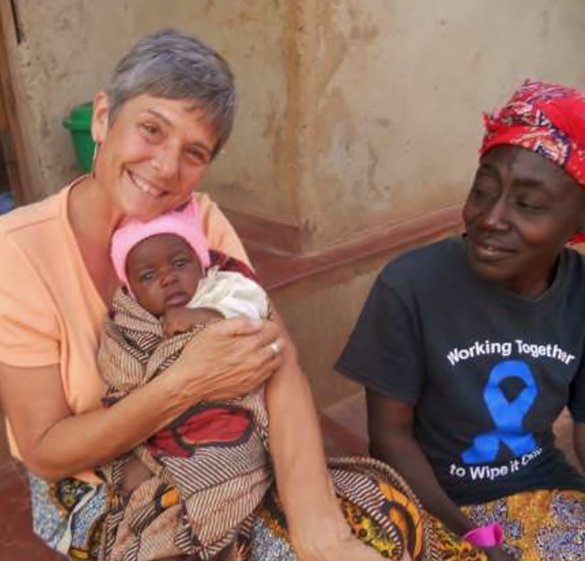 Roberta Nagel, volunteer Church Partnership Coordinator for Malawi, shares her reflections on Easter and the work of the Church in Malawi. We are just a few short days from Easter. As I remember and reflect upon relationships formed half a world away from my birthplace, I am captured by the intimate analogies between what I have personally witnessed in lives here, and the miracle of our Lord’s resurrection. Time after time, I see firsthand a life at the brink of poverty-induced despair or death from HIV/AIDS, but which now presents the picture of joy and health – all because of the love of God made manifest through World Relief servants who extended a small kindness – a cup of cold water - their lives have been “resurrected” from death to life. Because a volunteer visited, and later accompanied her to get tested for HIV, a woman whose village was planning her funeral as they saw her wasting away from an AIDS related illness, is free from any symptoms and serves her neighbors as the leader of the very group who reached out to her with love in action. This, just one of hundreds, perhaps thousands of stories from World Relief venues the world over. Just think, because of His Resurrection, we are in the unparalleled business of bringing resurrection rescue to those in our circles of influence as the extension of the hands and feet of our Lord Jesus. What a blessing and what a responsibility! If you think this language is too dramatic, I invite you to ask them for yourself and see how they describe their transformation. They will assure you it is nothing short of a resurrection day miracle. Easter Blessings to all – HE IS RISEN INDEED!